As agents for the Estate of Beverly L. Pairan, R.C.P.C. # 2011E-125, we will sell the following Antiques, Cars and the 315 Massie Ave. Real Estate will be sold at 613 Seminole Rd., Chillicothe, Ohio 45601 at 12:00 P.M. Saturday, September 24th, 2011 9:00 A.M * 315 Massie Ave. is being sold at 12:00 P.M, Followed by Cars * Auction of the investment property located at 315 Massie Ave., Chillicothe, Ohio. This home has Living Room, Kitchen, Bedroom and Bath with Basement & Detached Garage. Auditor identifies this home as parcel # 305614066000, Lot 38’x110’, Taxes: Homestead $707.26 yr. Please remember that this home is not sold on site, but at the 613 Seminole Rd., Chillicothe site at Noon. Cars: Will sell following Real Estate at Noon. 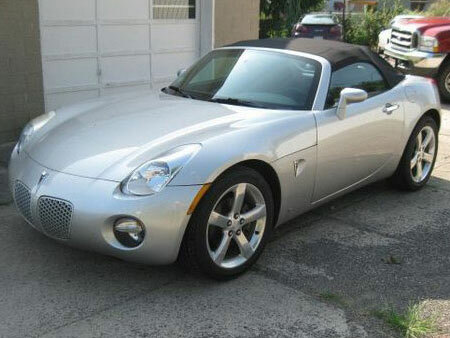 2006 Convertible Pontiac Solstice Roadster being one of the FIRST 1,000 SOLD! One owner bought new at Nourse on September 30th, 2005. Car has Silver Exterior, Black Leather Interior, Power Windows & Locks, Cruise Control, AM/FM CD and 18” Aluminum Wheels; Serial # 1G2MB33B36Y000566 , Approximately 8,245 Miles(With Hail Damage). 1986 Olds Cutlass Supreme Brougham One Owner, 2 Door, Garaged and not driven since approximately 2000, 63,000 Miles, Power Locks & Windows, AC, Hardtop and Split Front Seats. Starter Pistol; Small Tin Peter Rabbit Box; Green Floral “Gone With the Wind” Lamp; Tan & Green Floral “Gone With the Wind” Lamp; “Gone with the Wind” Ball Shade; Meerschaum Pipe; Green Floral China Case Clock; Seth Thomas Cathedral Clock; Long Case Wall Clock; Gingerbread Kitchen Clock; Regulator Type Wall Clock; Lechatz Royal Machine Clock; Modern Art Glass Clock; Twisted Wood Cane; Wood Cane; Lead Deer; Brass Princess Phone; Brass Tea Pot; Walnut Willamatic Spool Case. Oil on Canvas Marina Scene Painting; 5 pc Wood Train; Modern Globe; Miscellaneous Bisque Figurines; Harrison Fisher Prints; Copper Coal Hod; Military Patches; ; Pearlized Opera Glasses; Halloween Pumpkin; Murano Fish; Gold Gilded Frames; Railroad Lantern; Mail pouch Thermometer ; Blue Birds; Miscellaneous Figurines; Cast Iron Corn Stick Pan; Goat Yoke; Longaberger Basket; Oak Wall Phone; Ted Fickisen Print; Walnut Dry Sink; Blue Delft Wall Mount Coffee Grinder; Wall Framed Velvet Painting; Inlaid Small Box; Wood Purse; Hat Pin Holder; Milk Can; Brass Double Inkwell; Brass Spittoon; Early Horse & Wood Wagon; Stereoscope Viewer; Platform Rocking Horse; Brass Bed Warmer; Gays Lion Farm Postcards; Train Photos; Old Photos; Miscellaneous Old Papers; Post Cards; Tin Type Daguerreotype; Alabama Paper 10 Cent Note; Boy Scout Handbook; Early Tecumseh Tickets; Wood Picture Roller Box; Small Swiss Music Box; Wimpy Chalk Figurine; Hundreds of Kinkade Houses Still in Box. Brass Floor Lamp with Hand Painted Hurricane Shade; 8 Panel Slag Glass Lamp; Pair of Fenton Milk Glass Hobnail Lamps; Large Cut Glass Lamp with Prisms; Milk Glass Double Student Lamp; Fenton Hand Painted Log Cabin Fairy Lamp; Student Lamp with Red Shade; Oil Lamp; Victorian Hanging Lamp; Bracket Wall Oil Lamp; Walnut East Lake Side Table; Walnut East Lake Side Chair, Green; Walnut Side Chair, Red; Walnut Fruit Back Side Chair; Walnut Marble Top Table; Walnut Oval Side Table; Plateau Mirrors; Sewing Table, Hat Rack Porcelain Tips; Maple Rocker; Maple Bench; Walnut Victorian Side Chair; Fireside Table; Walnut Rocker; Walnut Roseback Side Chair; Small Cast Iron Stool; Walnut Slant Front Desk; Walnut Parlor Table; Clock Shelf; Long Wood Shelf; Medium Wood Shelf; Victorian Settee & Side Chair: Walnut Step Back Cupboard; Walnut Marble Top Wash Stand; 2 Drawer Modern File Cabinet; Modern Marble Top Stand. Large Wavecrest Dresser Box; Ribbon Glass Dresser Box; Bavarian Dresser Box & Hair Receiver; Czech Dresser Box; 2 Fenton Blue Coin Spot Opal Ewers; Small Nippon Ewer; Etched Clear Glass Pitcher; Fenton 3pc. Milk Glass Hobnail Lavabo; 4 pc Broken Column Pattern Glass Set; Depression Era Crystal Stem Ware; Mary Gregory Decorated Cruet; Clear Glass Cruet; Crackle Glass Cruet; Green Depression Glass Cruet ; Cut Glass Cruet; Pair Ruby Enameled Mantle Lustres; 2 Blue Vases & 1 Red Crackle; Weller Frog Vase; Ambera E Art Glass Vase; Ladies Head Vase; Ladies Head Vase w/Black Gloves; Ladies Head Vase w/No Gloves; Large Blue Ceramic Vase; Cambridge Amethyst Ivy Vase; Green Enameled Vase; Tall Frosted Bristol Vase; McCoy Vase; Italian Vase; Crystal Cut Vase; Italian Pottery Vase; Tiffin Twilight Vase; Westmoreland Crystal Old English Vase; Small Blue German Vase; Victorian Wicker Floor Vase Red; Victorian Wicker Floor Vase Green; Blue Rose Bowl on Brass Base; Fenton Blue Stretch Bowl; Black Amethyst Bowl; 2 Autumn Leaf Bowls; 3 Kitchen Craft Bowls; Large Hand Painted Bowl; Nippon 3 Footed Bowl; Royal Rudolstadt Bowl; Hand Painted 3 Footed Bowl; Hand Painted China 3 Footed Bowl; Stag & Holly Bowls;7 Modern Carnival Glass Bowls; Royal Doulton Blue & White Bowl; Blue Ceramic Pitcher & Bowl Set; 4 Stack Pfaltzgraff Mixing Bowl Set; Imperial Cake Stand; Green Depression Cake Plate; Fostoria Colony Candy Dish; Hand Painted Relish; R.S. Germany Small Relish; Green Crackle Glass Decanter; Bristol Decanter; Swirl Decanter; Bohemian Cut to Clear Decanter; Green Enameled Dresser Jar; Victorian Frosted Dresser Jar; Large Louis Prouty Co. Apothecary Jar 3 pc. Green Bristol Dresser Set; 3pc. Frosted Bristol Dresser Set; Wedgewood Old South Church Plate; Majolica Plate; Black Forest Pottery Plate; 8 Green Depression Plates; 33 pc Lyric Czech China; 7 Lattice Milk Glass Plates; 2 Lattice Milk Glass Plates & 1 Bowl; Miscellaneous China Pcs ; Blue Danube China; Nippon 3 Footed Cup and Saucer; Floral Cup and Saucer; Holland Cup and Saucer; Fenton Silver Crest Epergne; Kings Crown Spooner; Castor Set; Hand Painted Salt & Pepper; Cream & Sugar on Tray; Paragon China Cream & Sugar; Plain China Cream & Sugar; Blue & White R.S. Cream & Sugar; Floral Cream & Sugar; Hand Painted Coffee Pot, Cream & Sugar; R.S. Prussia Chocolate Pot, Cream and Sugar; Nippon Chocolate Set; Milk Glass Punch Set; Large Holland Tureen; Pair of Hand Painted Miniature Portraits on Porcelain Signed Pauva; Pair of Hand Painted Miniature Portraits on Porcelain Signed George Romney; 2 China Shoes; Millefiori Shoe; Blue & White China Candlesticks; Viking Amethyst Candlesticks; Cambridge Arm Candlestick; Fostoria American Candlesticks; Salt Glazed Pottery; Miscellaneous Glassware, 4 Gallon Crock, Robinson Ransbottom Pottery Jardinière’s; Robinson Ransbottom Pot; Miscellaneous Ceramics; SmallCeramic Animals. Several Sterling Necklaces; 14k Gold Chain with Purple Stone; Sterling Cross Necklaces; Silver Cross Necklaces; Several 14K Cross Necklace; Sterling Chain & 14K Heart Necklace; Weiss Rhinestone Necklace; Blue & Clear Rhinestone Necklace; Sterling Irish Cross Necklace; Sterling Silver and Marble Necklace; Sterling Chain with Pope on Coin; Camrose & Kross Necklace with Green Stones; Camrose & Kross Necklace with Rhinestones; Camrose & Kross Necklace with Purple; Camrose & Kross Necklace Blue & Yellow Stones; Camrose & Kross Necklace; Vatican Necklace; Green Necklace; Blue Rhinestone Necklaces; Black Bead Necklace and 1 Broken; Many Pearl Necklaces; Several Chokers, Pendant Necklaces and Chains; Several Beaded Necklaces; Miscellaneous Necklaces; Pearl Necklace and Bracelet Set; Watch, Necklace and Earring Set; Cameo Pin & Earring Set; Pin & Earring Set Green Stone & Pearl; 14K Cameo Pin with Earrings; Necklace & Earring Set Silver& Turquoise; 14K Gold Green Stone Necklace & Earrings; Millefiori Necklace & 2 Pair of Earrings; Hobe Necklace & Earring Set; Tri Tone Blue Necklace & Earrings; Necklace and Earring Set Black Beads; 2 Sets of Orange & Wood Bead Necklace and Earring; Mosaic Pin & Earrings from Italy; Silver & Rhinestone Necklace and Earrings; Rose Necklace & Earring Set; Red & Gold Necklace and Earrings; Gold Tone with Pearl & Green Stone Necklace and Earring Set; Pearl Necklace and Earring Set; Cameo Necklace & Earrings; Pearl & Red Necklace & Earring Set; Camrose & Kross Bracelet; Camrose & Kross Bracelet With Rhinestones; Rhinestone Bracelet; Miscellaneous Bracelets; 2 Charm Bracelets; Sterling Bracelets; 4 Pair of Turquoise Earrings; 6 Pair of Rhinestone Earrings; 8 Pair of Old Earrings; 4 Pair of Sterling Earrings; Pearl Necklace & Earrings; Miscellaneous Earrings; Cuff Links & Tie Tacks; Ladies Watches; Watch Fob; Pierre Cardin Watch; Several Watches; 6 Star of Light Methodist Pins; Cameo Pin, Black & White; Rhinestone Pin; Cameo Pins; 2 Rhinestone & Silver Pins; Very Old Pin With Leaf; 14K Pins; 14K Pendant; Sterling Pendants; Miscellaneous Pins; Music Box with 2 Pins & Pair of Cuff Links; Compact in Cloth Holder; Several Rosaries; Mans Ring; Sterling Ladies Ring; Man & Woman 14K Rings; 14K Ring; Several Rings; Miscellaneous Costume Jewelry; Miscellaneous Jewelry Parts; 2 Fans; *Camrose & Kross Jewelry is reproduction of Jacqueline Bouvier Kennedy’s Jewelry. Walnut Hanging Rack with Hand Carved Bird; Black Walnut Hanger; Baby Toys; Portable Stereo; Paper weights; Walnut Hall Tree; Binoculars; Chalkboard All information provided is to be utilized only as a guide. Buyers are responsible to conduct any inspection, inquiry, investigations and due diligence regarding to property. Buyer agrees and understands that the seller makes no warranties or representations of any kind either expressed or implied as to the condition, quality, and merchant ability of fitness for a particular purpose of the real estate or any part thereof and/or serviceability for the same. Buyer is buying property subject to any and all easements, leases, covenants and restrictions. The agreement of auction is solely between buyer & seller. Stanley & Son, Inc. and its agents are exclusive agents of the seller. Any announcements made only by the auctioneer from the podium during the time of auction will take precedence over any previously printed material and/or any other oral statements made or implied. No liability exists regarding the information contained in any printed matter for its accuracy, errors or omissions. Bidding is open, just call out, raise your hand or watch the ring personnel…they will assist you and try to get answers to any questions you may have prior to bidding. With regard to personal property at an auction: The Auctioneer has arranged the merchandise for the auction and directs that it not be altered, moved or disturbed in any way by any person other than normal inspection at the spot where the merchandise is located. The auction staff will assist anyone who has a question or request about a lot or item. In the event any person other than a member of the auction staff is detected altering, moving or otherwise disturbing any merchandise, that person will be required to immediately leave the auction, not return an, at the discretion of the auctioneer may be barred from future auctions. Any instance of theft or vandalism will be prosecuted to the fullest extent of the law. Statute of Limitations: Any action or suit of any kind must be commenced within one year from the date when the cause of action or suit occurred or it will be forever barred. The Right of Action or suit will begin to run on the date of breach, damage or injury is sustained & not when the resulting cost, damage, harm or loss is discovered. This Agreement will be exclusively construed & governed in accordance with the laws of the State of Ohio, without regard to its conflict of Laws Principles. The exclusive jurisdiction & venue for any controversy or claim between the parties shall be the State of Ohio, County of Ross, City of Chillicothe, by binding arbitration. 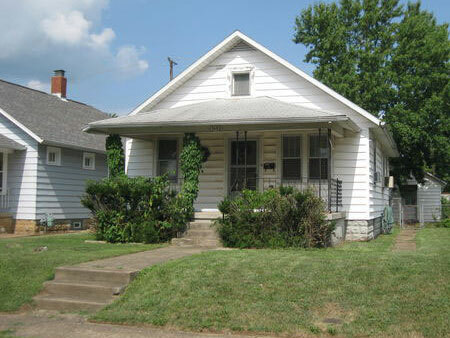 Real Estate Terms: 315 Massie Avenue, Chillicothe, Ohio: Minimum Bid $2,500.00; $2,500 down at time of sale in cash or check; balance & possession at closing on/before Oct. 24, 2011; taxes prorated to closing; sold in current as-is condition w/all faults; caveat emptor; no buyer contingencies exist; closing conducted by Clifford N. Bugg, Attorney at Law; 41 North Paint Street, Chillicothe, Ohio 45601; 740.775.3300, Craig E. Pairan, Executor. Personal Property Terms: Cash or check w/photo ID; payment in full at time of sale prior to removal; sold as is w/all faults; no buyer contingencies; caveat emptor.